I will provide you information on all your waste & recycling needs. Whether you need a dumpster for a small clean up or multiple bins for a large construction project, we can meet your individual needs. At Central Waste and Recycling, we feel that almost everything we call “waste” is actually recyclable. This is why we go above and beyond to assist our customers in determining which materials can be recycled. Proper waste collection is an essential addition to any major construction project in Austin. Let Central Waste consult you in the proper collection service to help get the job done. 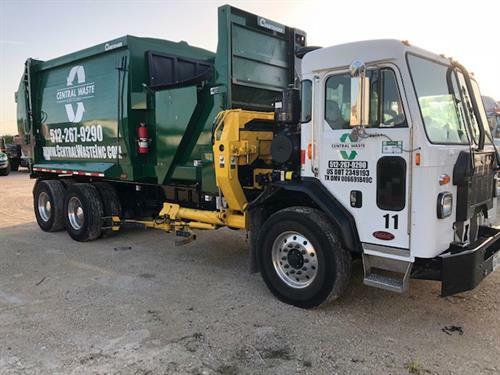 We can answer any questions you have regarding bin rental or setting up permanent service for your home in the Central Texas area. At Central Waste, it is our goal to help the Central Texas area transition into the green movement. Our experts will help you determine how you can maximize your recycling impact. Call Jarod at Tradesman International @ 512.939.4077 and have him put you to work....or get you high value laborers for your your projects. We recommend them highly.